- Maryland has put together an impressive 7-1 start to the season with its only loss coming to No. 4 Virginia at home, but the Terrapins are just 3-5 against the spread in those eight games. - Purdue is the exact opposite of Maryland when it comes to ATS record as the Boilermakers sit 5-3 (the same their straight-up record). - The Boilermakers are also 2-1 ATS as home favorites, while the Terps have yet to face an underdog spread on the road prior to tonight. - Since Maryland joined the Big Ten in 2014. Purdue has gone 4-2 against the Terps and won the last four consecutive meetings. It's been a short series, but there's been some great #Purdue moments vs. Maryland. All Maryland-Purdue prop bets and odds are available here via FanDuel Sportsbook. - 1st Half Money Line 3-Way: Tie (+750) – Only half of one point separates Maryland (39.6 PPG) and Purdue's (39.1 PPG) average points per game in the first half of their respective eight games this season. At a 7.5/1 payout value, this seems like a solid look. Phenomenal matchup on deck tonight between Purdue's Carsen Edwards and Maryland's Anthony Cowan. Two of the quickest guards in America. Mackey Arena should be on fire. 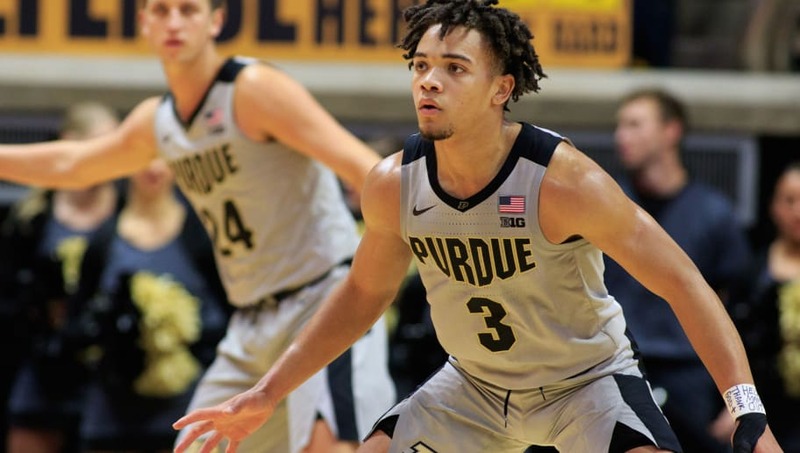 - Home Team (Purdue) Total: Under 79.5 Points (-110) – Both of these teams have played solid defensive ball early on this year, with neither defense allowing more than an average of 70 PPG. Purdue may come out on top at home tonight, but don't be surprised if the Boilermakers' winning total is less than 80 points.